Raffle ticket for a 1981 Corvette, dated 1987. 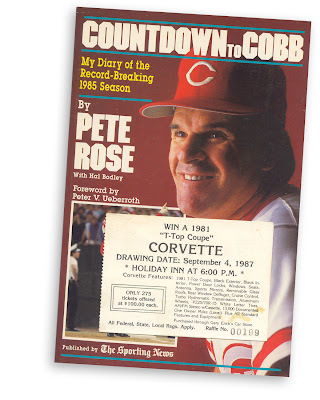 Found in "Countdown to Cobb: My Diary of the Record-Breaking 1985 Season" by Pete Rose. Published by The Sporting News, 1985.
he already called and offered to sign it for $50.